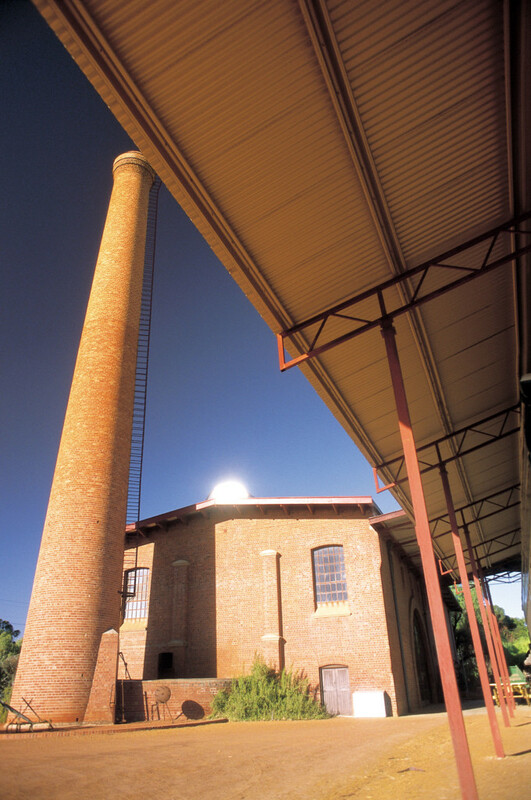 The Cunderdin Museum housed in No 3 weaves the story of the goldfields water supply scheme with the history of the town over which the pumping station’s imposing brick chimney presides. Here you can see actual footage of an engine room in operation. Although the boilers have been removed, a detailed model shows you the inner workings of a Babcock and Wilcox water-tube boiler. 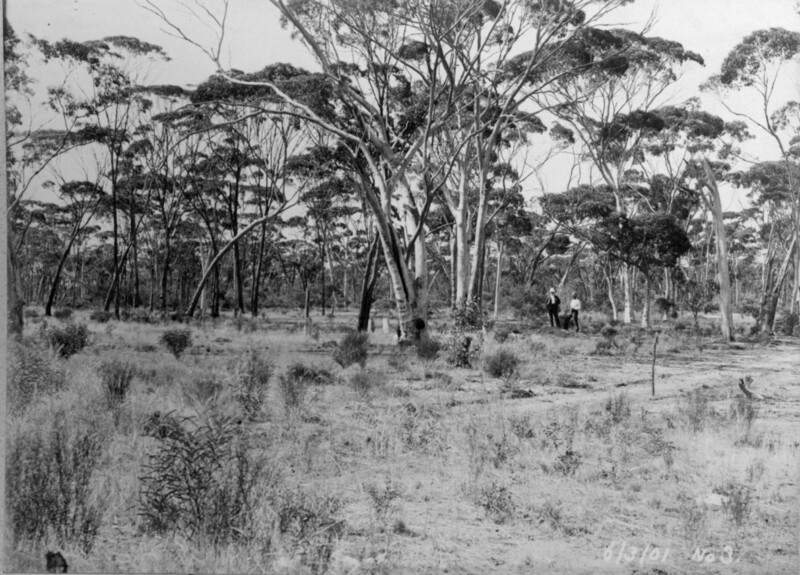 At the beginning of 1901 the site of No 3 Pump Station at Cunderdin was uncleared scrubland. Battye Library. 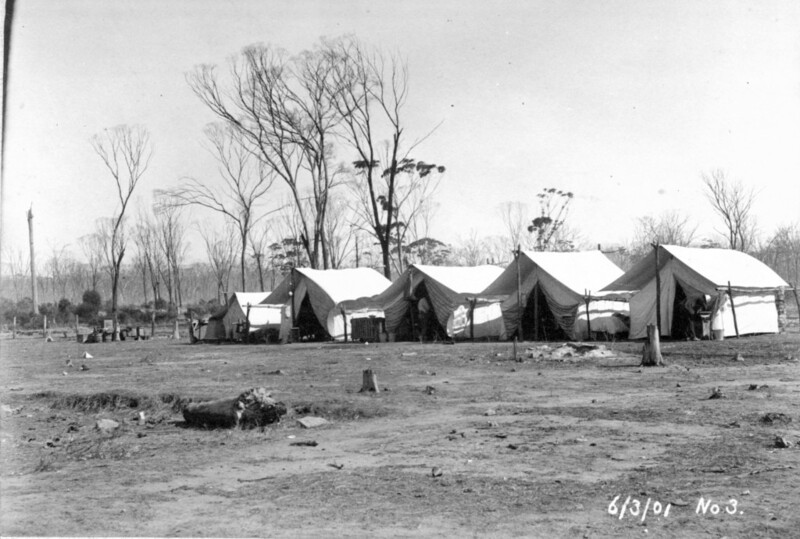 No 3 Pump Station construction workers camp 1901. Eighteen months later, the brick pump station, large, solid and rectangular, with its tall chimney and surrounded by employee’ cottages and barracks, imposed itself on the landscape.The pump station originally housed three sets of boilers and pumps. Like all eight pump stations it consisted of a boiler room and a pump room separated by a passage. While the design was essentially functional it incorporated stylistic characteristics and decorative elements, such as the large Romanesque arch to the boiler room, Renaissance style entry canopy, timber brackets to gable eaves, bull’s-eye windows and Georgian style cast-iron windows, all of which indicate that there was considerable pride in the housing of the machinery and the scheme in general. The buildings were probably designed by the Public Works Department with the involvement of architect George Temple Poole. Battye Library. No 3 Brick Pump Station 1902. No 3 Pump Station differs from all others in that it did not have a receiving tank adjacent to the building. Instead, use was made of an already existing 12 million gallon (54.5 million litre) railway reservoir a short distance away. The caretaker’s cottage remains and is now used as a storage space for the golf club. 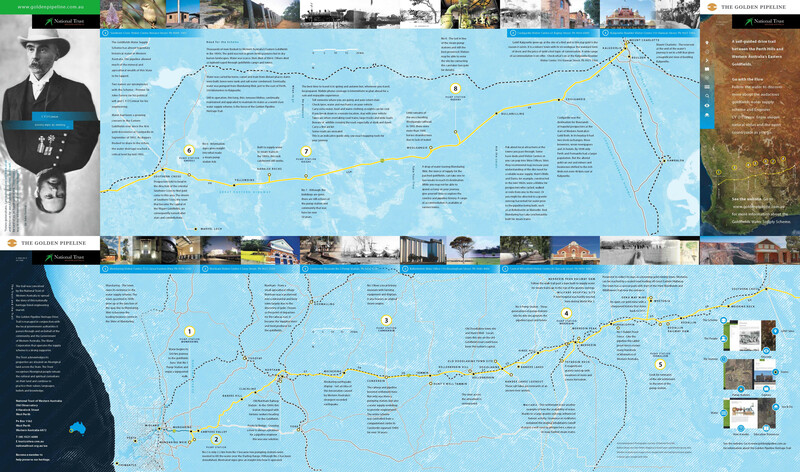 On Wednesday 23 April 1902, before the scheme was completed, a special train brought members of Parliament and prominent citizens from Perth to see how successful the water scheme had proved in carrying water the first 115 km to No 3. Among the guests were the Premier, Mr Leake, and the Commissioner for Works, Mr Rason. These two gentlemen later amused themselves by rowing a small boat across the railway reservoir. Battye Library. 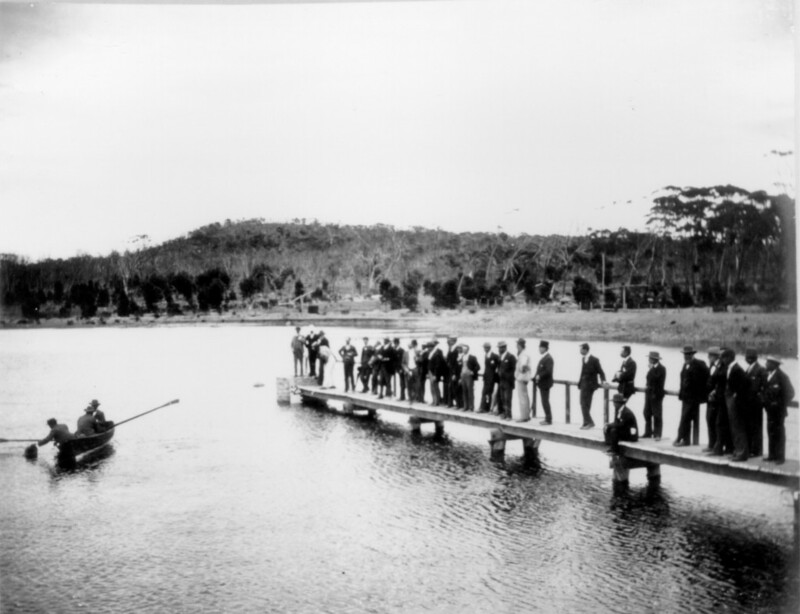 Watched by a party of officials, Premier Leake and others row across the reservoir 1902. 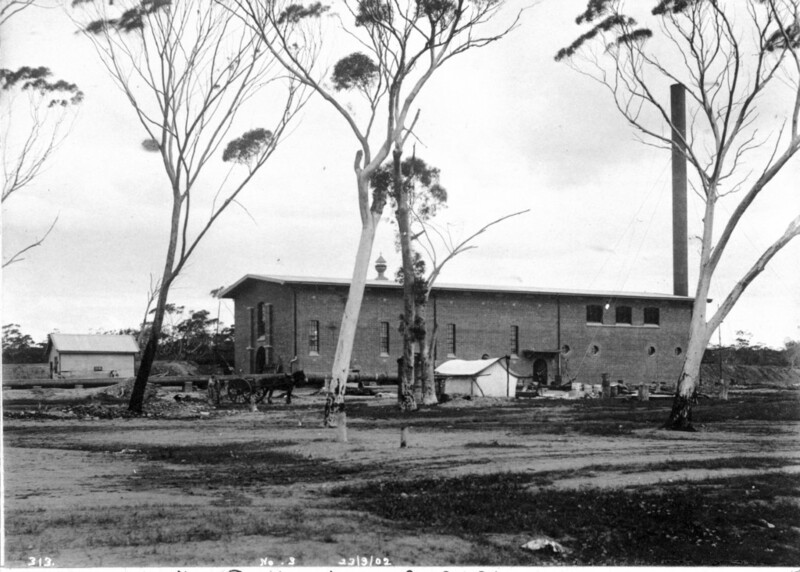 As the town of Cunderdin grew, some of the Pump Station land was given over to the town for a hospital, school and railway access. No 3 continued to run under the power of the original pumps until March 1956 when a new electric pump station was opened. The older No 3 was abandoned for eight years before housing a cement factory. At this time the whole floor was covered in concrete. Following the closure of the cement factory the interior of the Pump Station was once again gutted. A pump from No 7 was installed and the existing museum developed. It opened on 11 March 1973. Source: Gary Peters. No 3 now the Cunderdin Museum.